Matthew Affron and Michael R Taylor discuss Thomas Chimes (1921-2009) Part 2 from Greenhouse Media on Vimeo. Locks Gallery was pleased to host a conversation between Michael R. Taylor, Hood Museum Director and author of "Thomas Chimes: Adventure in 'Pataphysics", and Matthew Affron, the Muriel and Philip Berman Curator of Modern Art at the Philadelphia Art Museum. On November 15, 2014 they discussed the life, work, influences, and legacy of the late Philadelphia artist Thomas Chimes (1921–2009) on the occasion of the gallery's latest exhibition and publication in collaboration with the artist's estate, "The Body in Spirals." With expertise in Surrealism, Marcel Duchamp, and Joseph Cornell, among others, these two prominent scholars continued to help contextualize Thomas Chimes's idiosyncratic works. Locks Gallery and the Estate of Thomas Chimes continue to work furthering understanding about the artist's four major periods of work: the crucifixion paintings (1958–65), metal box constructions (1965–73), panel portraits (1973–1978), and critically acclaimed white paintings (1980–2009). 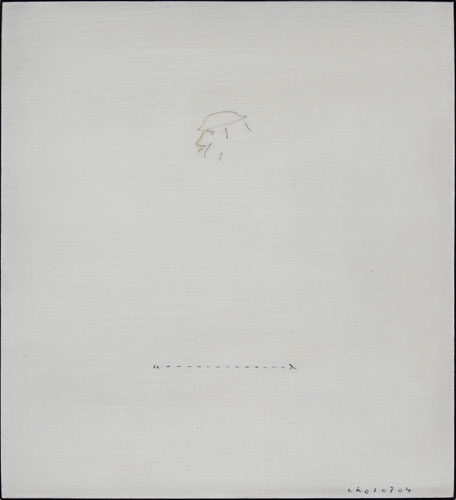 His work has been exhibited at the Whitney Museum of American Art, New York City, NY; The Royal Hibernian Academy, Dublin, Ireland; The Institute of Contemporary Art, Philadelphia, PA; The Contemporary Arts Museum, Houston, TX; The Benaki Museum, Athens, Greece; Galerie der Stadt, Tuttlingen, Germany; and The National Portrait Gallery, Washington, D.C. In 2007, Thomas Chimes was the focus of a major monograph and retrospective at the Philadelphia Museum of Art. In 2013, a subsequent publication "Into the White" was released coinciding with a touring European exhibition, examining his celebrated later work. For more information about Thomas Chimes or for scholarly access to the entirety of this conversation, please contact info@locksgallery.com.